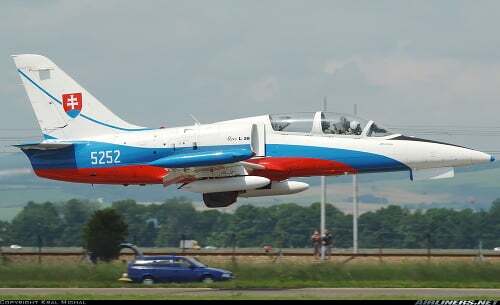 The military plane L-39 between Sliac and Kovac crashed today at 14:15. He informed the defense department. The Minister of Defense of the Slovak Republic, Peter Gajdoš, also took the place. Two pilots were on board. "There were two parachutes, so there is still a big chance that the crew is alive" said shortly after the Gajdoš incident. Spokesman for the Ministry of Defense Danka Capakova later explained that they had both survived because they were able to eject. "They are currently receiving medical attention in one of the hospitals and the plane has ended up in an uninhabited area." she added. The report that the pilots live is also confirmed by Mayor Sliač Daniel Dunčko. "They told me they were catapulting, nobody killed, the plane fell into an uninhabited area," he expressed himself. Further details will be provided later by the Minister of Defense Peter Gajdoš, head of the general staff of the SR force SR. Daniel Zmeko and commander of the air force OS SR genmjr. Ľubomír Svoboda directly in the aviation disaster. "Albatros L 39 hunter is not armed, military firefighters come on the spot," reported about half an hour after the Ľuboš Michálek event of the Fire Brigade Operation and Rescue Service in Banská Bystrica where the fire was located. There were 12 members of the OR HaZZ in Zvolen and OR HaZZ in Banská Bystrica with four devices. The accident happened about two kilometers from the spa town of Sliac, in a field along the river Hron. The space is currently closed. 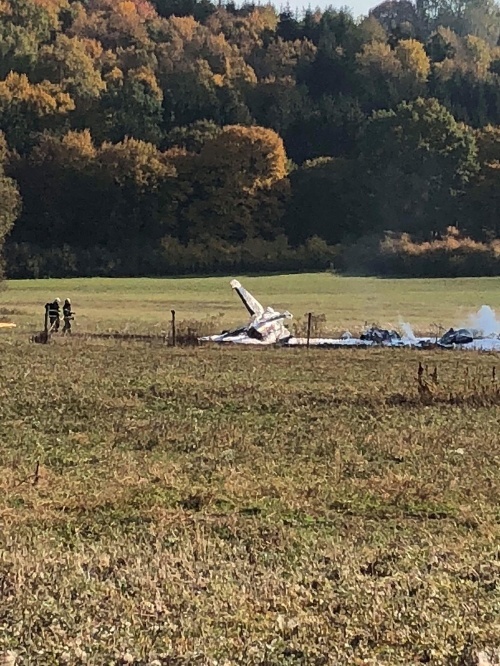 The witnesses on the spot came closer to see how two military planes were practicing in the space between Sliač and Zvolen, and one of them crashed into practice maneuvers. Minister Peter Gajdoš later added that the reasons and causes of an accident can not comment at this time. "Because it was an L-39 plane, there were two flights, one instructor and one who was upgrading." Who was there, I do not know, " he said. The defense chief also confirmed that the aircraft will be replaced and that the pilot training will have to be dealt with somewhere else. "The training of these pilots will be secured," he concluded. According to the website of the Ministry of Defense, the L-39 is a two-seat jet aircraft designed for basic and advanced pilot training, allowing a simple transition to the MiG-29 fighter plane. It is designed to destroy terrestrial and slow air targets at the airport, or to perform aerial surveys. It is equipped with AI-25TL dual-circuit motor. Albatros is in use by more than 30 air forces in the world. The reason for the fall of the training aircraft L-39 in the land register Sliač was a technical fault, namely the failure of the engine. The two-man team catapulted and did not endanger their lives. Briganting at the site of the accident was reported by Minister of Defense Peter Gajdoš (CIS). We will update the message. Dara Rolins is also confronted with criticism for Rytmus: the singer responded immediately!